SingleSync is a singles social network dedicated to helping singles to meet, interact and socialize in a friendly, positive environment. Each week, we host one or two events for Chicago-area singles. These include dinner parties, dinner dances, cocktail parties, wine tastings, discussions of singles issues, business and social networking mixers and other unique social events. Each event is a wonderful opportunity for discerning single professionals to get together to enjoy the company of other like-minded singles. We share the love of delicious food, wine, dancing, conversation and the camaraderie that result. Through our get-togethers we have developed an effective way to expand our single life horizons and our joy of socializing! SingleSync arose from the combination of several of the most well-established singles clubs and groups in the Chicago area. These clubs and groups were formerly the Social Network (founded in 1992), Gourmet Connections Dining and Dance Club (2002) and New Single Friends (2005). As a result, you can be confident that you are not dealing with some fly-by-night organization. 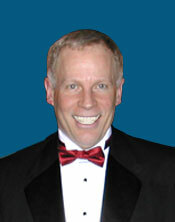 The President and driving force behind SingleSync is Jim “Senny” Senhauser. Senny is a long-time advocate for singles, having more than 20 years of involvement in and leading singles clubs and groups. He has also written more than 350 articles on singles issues. SingleSync is the organizing force for all of the activities and information that our club offers to single professionals (late- 30s through mid-60s). Parties and events are open to first-time attendees and members. To continue to attend any of our club’s events, you must join SingleSync. Just attend a party and sign up for our E-mail newsletter and you are in! By joining the club, even as a FREE member, you confirm that you are not simply “cruising” singles organization, but are making a basic commitment to expand and enhance your single life and that you will abide by our rules. That’s all there is to it!